The tidal wave of new cars hitting the market is showing no sign of slowing down. From desirable crossovers to exciting new electric cars, we've picked 10 that we're looking forward to the most. 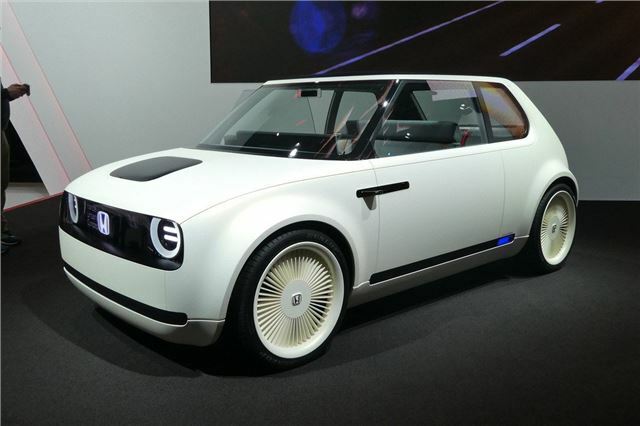 Honda’s first mass-produced electric vehicle in Europe will go on sale in 2019 - and what an electric vehicle it will be. Based on the Urban EV concept, the new electric car will be smaller than the Jazz and is likely to have a range of more than 200 miles. Expect it to look a lot like the concept, only with five doors and slightly curvier styling. Prices are yet to be confirmed, but Honda’s hinted that it won’t be cheap. I thought a new Golf was coming out in 2019 - obviously no longer of much importance. How do you charge it overnight if you do not have a garage or private driveway? two streets away can legally park outside your house overnight. Eurotunnel need to change their rules but I have not used the tunnel for many years so might be different now. Henry Carlton. Thanks for trotting out the same tired old arguments. Have a look at Bjorn Nyland's YouTube channel to see what can be achieved even in winter with decent charging infrastructure, We will get there in the UK eventually so your fears will be assuaged. I hope you're young enough to be able to take advantage of all the new EVs coming in the next few years. And until there is a decent charging structure? Buy petrol of course. How does that make it a very practical car? Electric drive technology needs a major technology step change before it becomes viable. What is the point of spending double the money on half the performance. The good old IC engine has and is serving us well, yet the politicians give it bad press. Maybe the world will become a sensible place again one day. When batteries are able to charged in 10 minutes for 300 mile and you can go to an electric station to fill up you won't need to charge at home as it will be similar to what you do with your ICE. Spot on. While lithium may be much superior to previous battery technologies (and is doing wonders for Bolivia's economy), we desperately need a new storage technology, and not only for cars. We need to be able to store electricity the way we store petrol and water, so that we can save what is generated by wind and solar power, rather than using them for satisfying instant demand. We also need better solar cells - the Sun puts out enough energy every few seconds to power the entire planet for a century, and we need to be able to get and store more of it. In short, we need a whole new energy infrastructure, and while a march of a thousand miles may indeed begin with the first step, for the planet's sake, we need to start jogging. Imagine what could be accomplished if we'd stop thinking of ingenious new ways of destroying each other and put the R&D effort into energy generation infrastructure.